Kongka La is the low ridge pass in the Himalayas [far west of China]. It is in the disputed India-China border area in Ladakh. In the map the red zone is the disputed area still under Chinese control in the Aksai Chin area. The Chinese held north eastern part is known as Aksai Chin and Indian South West is known as Ladakh. This is the area where Indian and Chinese armies fought major war in 1962. The area is one of the least accessed area in the world andby agreement the two countries do not patrol this part of the border. According to many tourists, Buddhist monks and the local people of Ladakh, the Indian Army and the Chinese Military maintain the line of control. But there is something much more serious happening in this area. According to the few local people on the Indian and Chinese sides, this is where the UFOs are seen coming out of the ground. According to many, the UFO underground bases are in this region and both the Indian and Chinese Government know this very well. Recently, some Hindu pilgrims on their way to Mount Kailash from the Western pass, came across strange lights in the sky. The local guides while in the Chinese territory told them that this was nothing new and is a normal phenomenon from Kongka Pass area - the tensed border region between India andChina. This strange lighted triangular silent crafts show up from underground and moves almost vertically up. Some of the adventurous pilgrims wanted to look into the site. They were first turned back by the Chinese guard posts as they were refused entry from the Chinese side. When they tried to approach the site from Indian side, the Indian border patrol also turned them down in spite of their permit to travel between the two countries. The pilgrims at that stage started quizzing the Indian border security personnel. The security personnel told them that they are ordered not to allow anyone near the area of interest and it is true that strange objects come out from under the ground with amplified and modulated lights. India’s Special Operations Forces and the intelligence agencies are in charge of that area. The locals start laughing in that area when they are asked about these UFO sightings. They get surprised why the Governments are so eager to hide these obvious facts. According to them the extra-terrestrial presence is well known and is in deep into the ground. They believe neither the Indian or Chinese Governments do not wantto expose the fact for some reason. When they bring up this matter to local Governments, they are told to keep quiet and forget the same. This is the region where the Euresian plate and the Indian plate have created convergent plate boundaries. 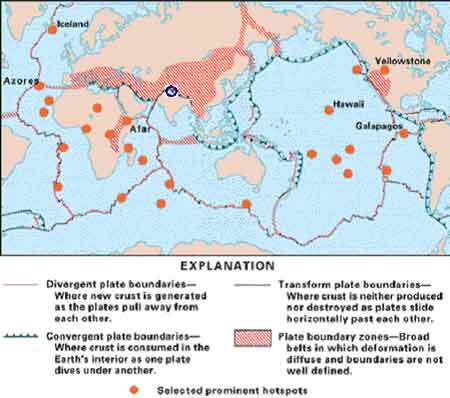 Convergent plate boundaries are formed where one plate dives under another. Consequently, this is one of the very few areas in the world where the depth of the earth's crust twice as thick as in other places. The opposite is found in hot spots like Yellow Stone National Park in America wherethe earth’s crust in thin. The double thick earth-crust allows the creation of underground bases very deep into the tectonic plates. Kongka La has beautiful rocks and granites. For some strange reasons neither the Chinese nor the Indian authorities ever excavate, dig or mine in this area. The area is pristine and untouched. Recently, both India and China have moved forward to solve all border disputes and start the Sino-Indian relations all over again. The Aksai Chin area is still disputed. But interesting while negotiations both the Governments are indifferent on this area. India and China as shown in the accompanying maps have huge border areas along the Himalayas and they are negotiating on all these regions. Though India claims that Aksai Chin is part of India, the common belief in the Government is that it is not a show stopper. On the other hand, Chinese after winning Aksai Chin from India in 1962 war, built a strategic military highway. Now they are using an alternate highway not to bother with the area in Kongka La. Recently in the local school, young children of the area entered into a drawing contest. More thanhalf of the drawings had to do with strange objects in the sky and some coming out of the mountains. Many of them even know what and when to look for. The other alternative is that it is an underground strategic Air Force base of some one. Then why will either country allow the base on the official no man’s land in the highly sensitive disputed border area? Why is this region continuously reporting UFO sightings from various kinds of people?